Working Tourists: Pick Your Color! 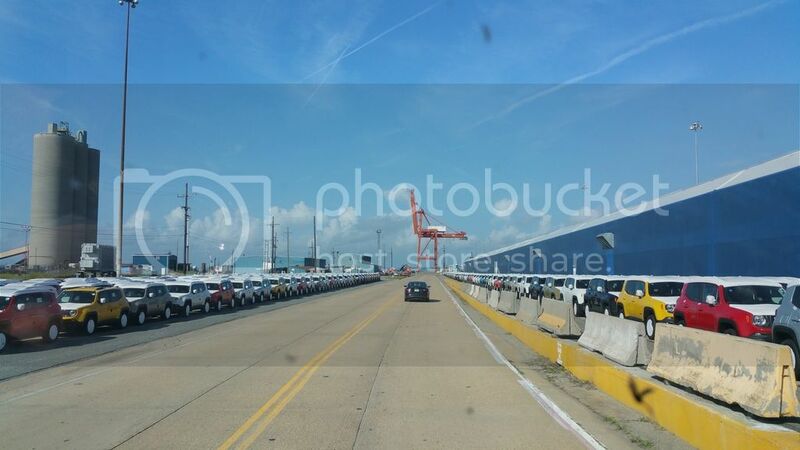 We delivered seven skids of owners manuals to the Newport News Marine Terminal, a 140 acre facility jammed to the hilt with new cars. As is the case with most marine ports - and as you might expect - a survey from left to right would reveal multiple deep water vessel docks, marine rail terminals, numerous shipping container cranes, and abundant truck docks. Think how many millions would have been lost had we blown off our delivery commitment and camped at the nearest casino instead. Luckily, all we want are paid miles and a decently scrambled egg now and then. See how simple life can be when you reject ideological agendas?